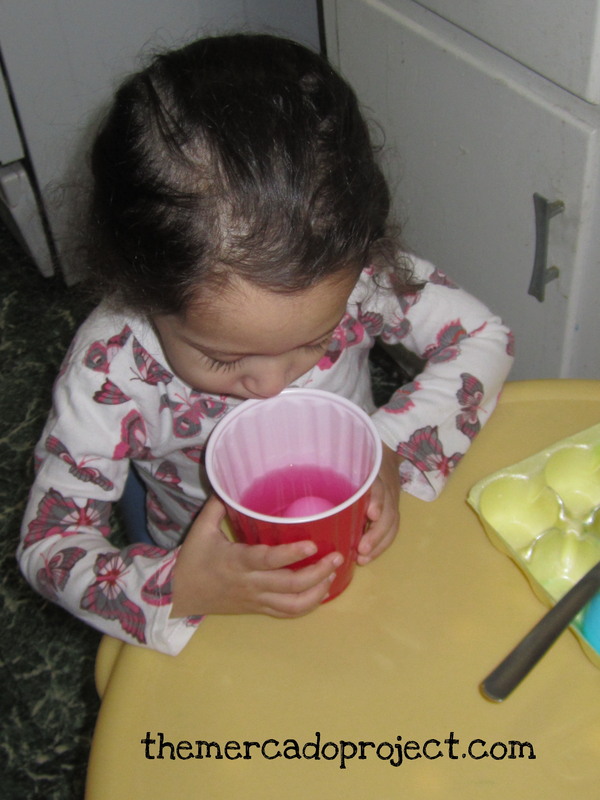 Today was the first day of my daughter’s Spring Recess and to kick it off, I decided to dye our first eggs at home. 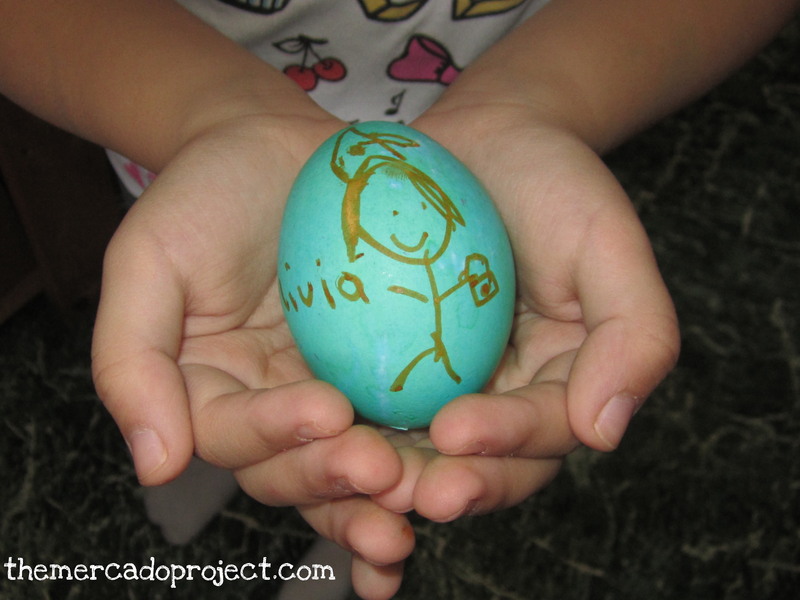 Yes, it’s another egg story. 🙂 I took their yellow Little Tikes table to the kitchen because it’s the brightest room in the house plus the cleaning supplies are there too, just kidding, not really. Yesterday, we purchased this kit at Target. I chose the Marble Magic effect. 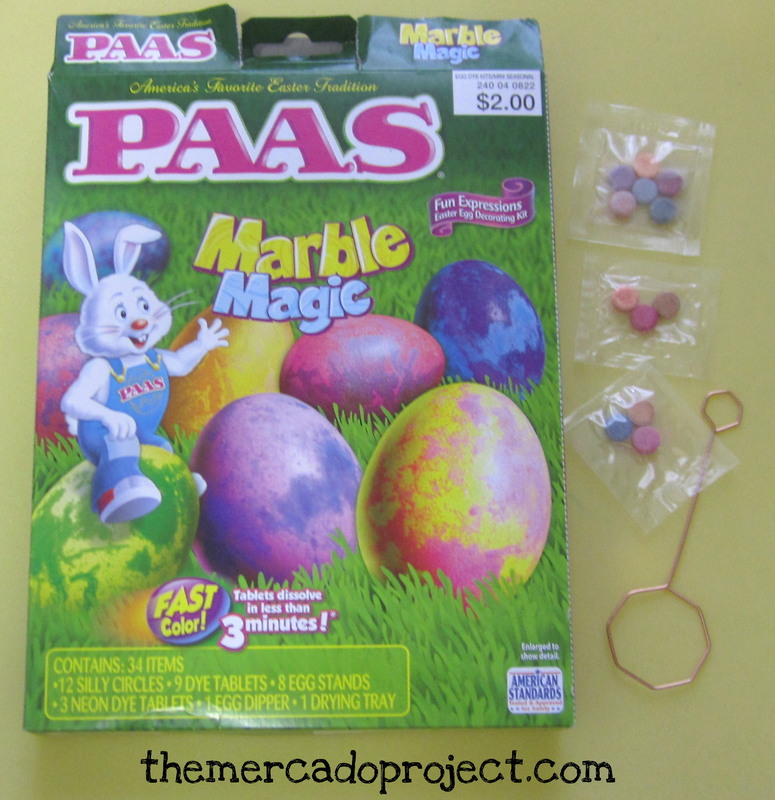 Inside you’ll find an egg dipper and color tablets. Instructions are on the back of the box. 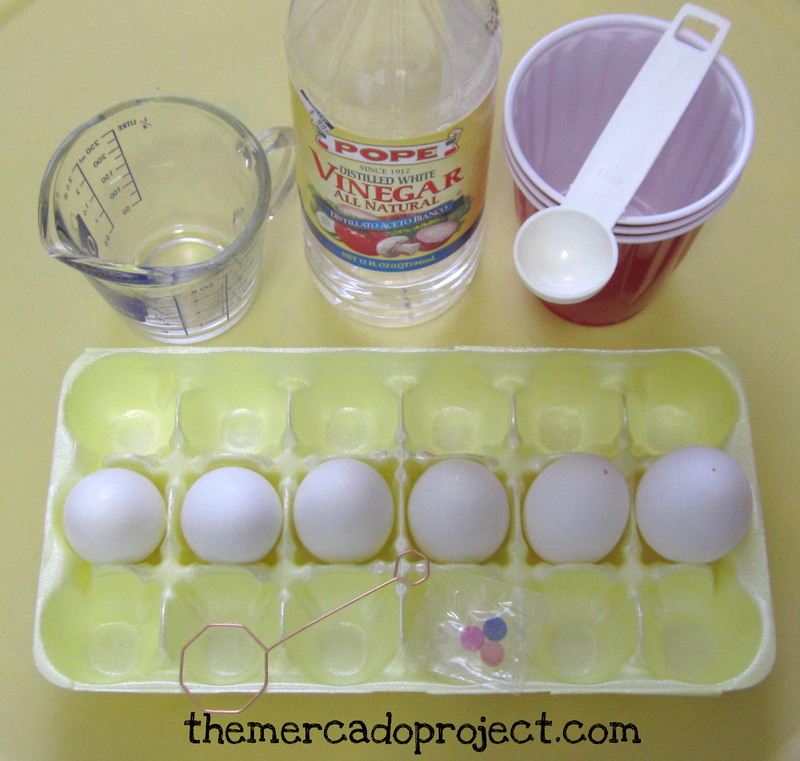 I chose to add vinegar to the tablets for a more vibrant color per the instructions. I hard-boiled four of the eggs. The other two were emptied out by my husband the day before. I dissolved the tablets and got green, blue, and pink. Then I added ½ cup of water to each. 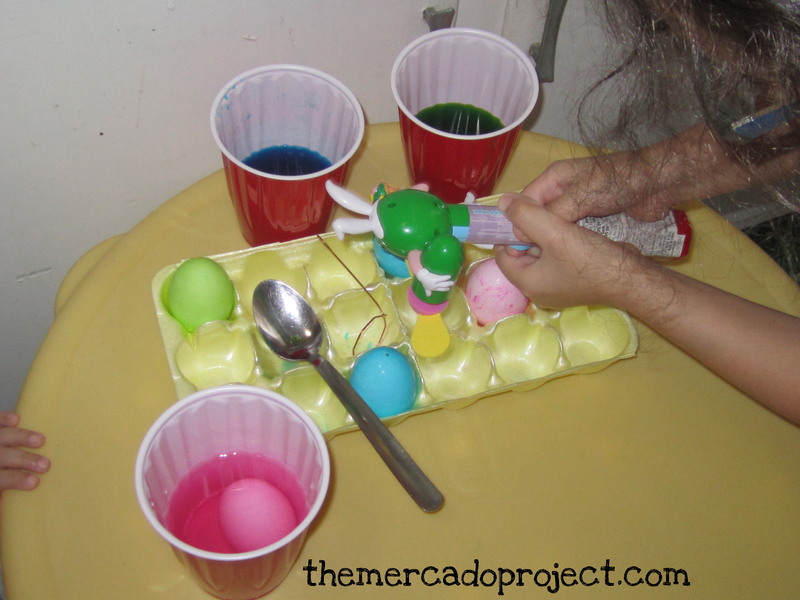 We dipped the eggs and my oldest daughter decided to use her M & M’s toy fan to speed up the drying process while my youngest was fascinated and kept looking into the cup. I had to watch her closely in case she decided to take a sip. 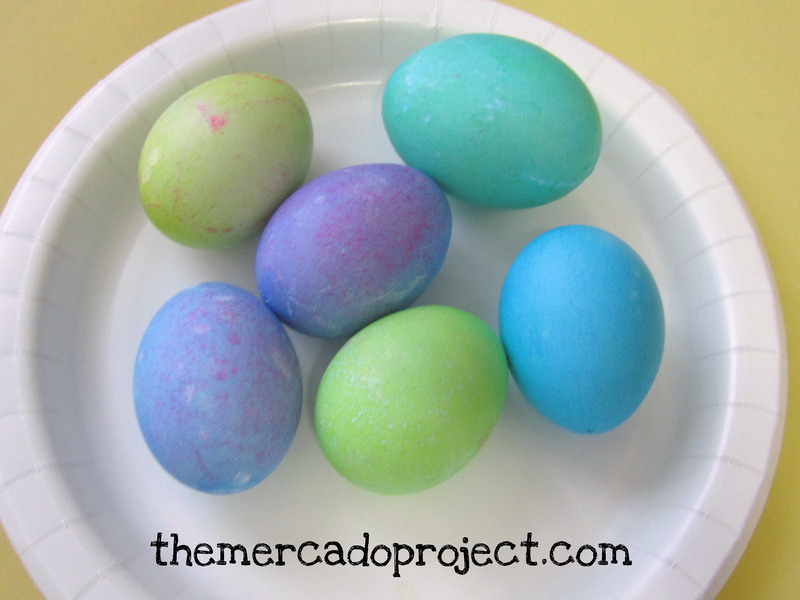 We dipped some of the eggs into two colors and achieved somewhat of a marble effect. It looks more speckled to me, but the girls were happy with the results and that’s all that matters. 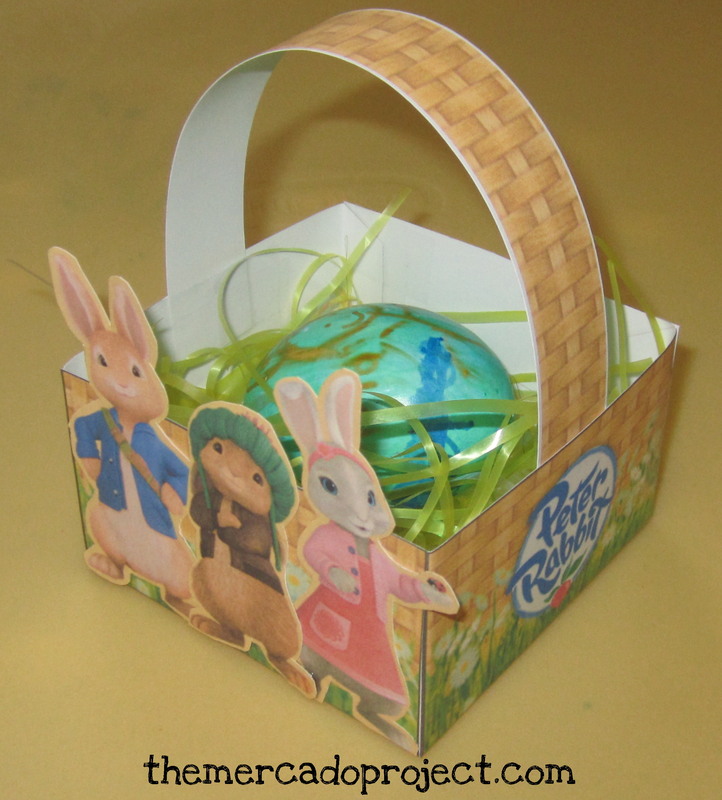 The Peter Rabbit egg holders were very handy. Aren’t they adorable? Olivia took her markers and got even more creative. 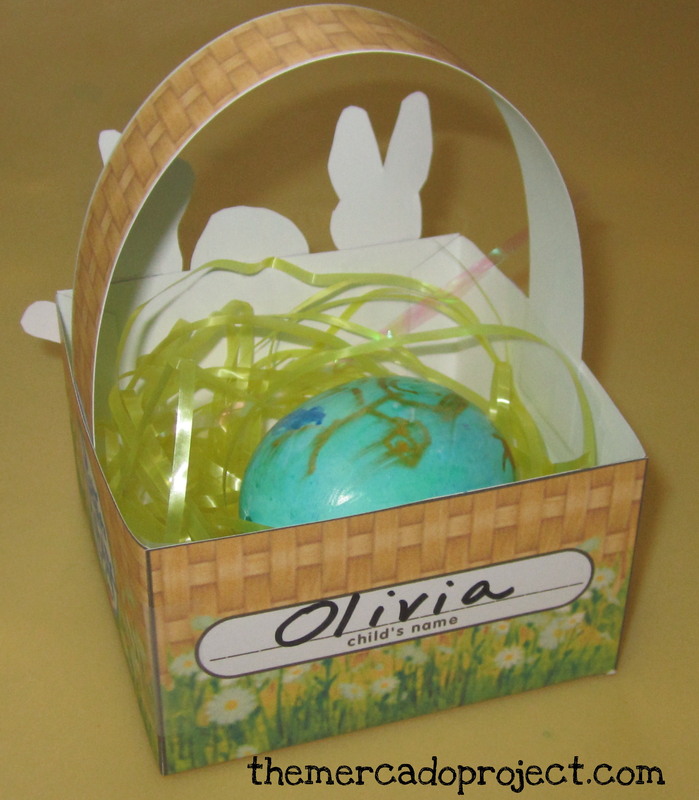 It’s a girl holding a basket with an egg. Love it! 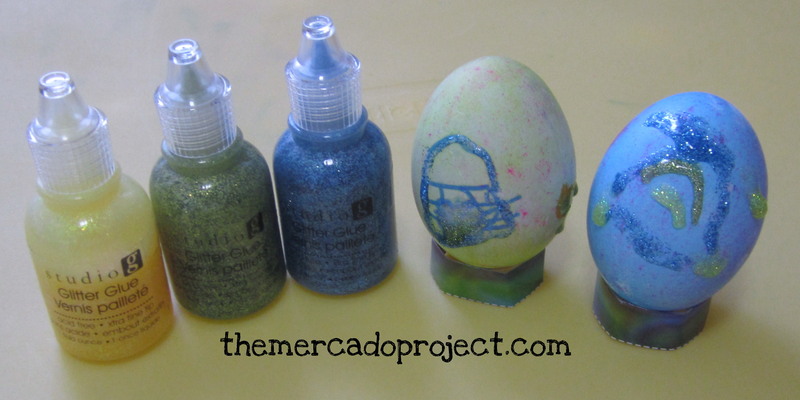 She also used glitter glue to decorate the eggs. 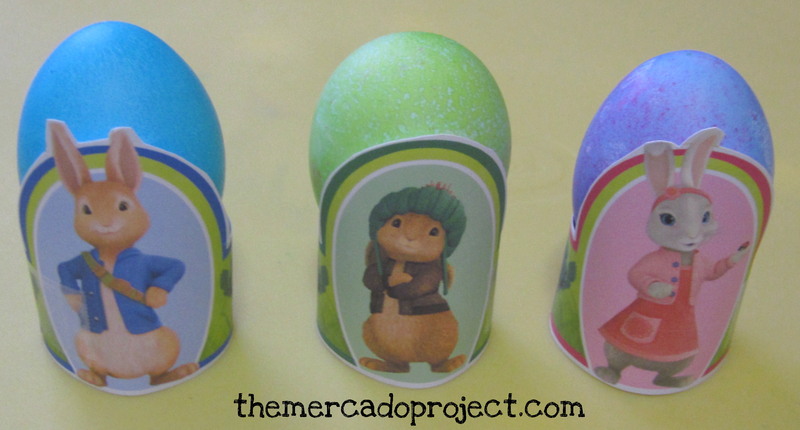 I had a lot of fun dyeing these eggs with my daughters and we’re going to be making more because my husband was working today and missed out. We Skyped him at his job, once we finished, so he could see the results and he was super happy to see us and our marbled/speckled eggs. This will be my last post on eggs, I promise. I do hope you guys enjoyed our adventure in egg land.